My Review:﻿ ﻿Daughter of a Thousand Years tells the story of two women separated by time, who struggle to stay true to their Norse religion during the prevalence of Christianity. Freydis is a Viking, who finds herself at odds with her family as she strives to make her own dreams come true. Emma, a contemporary woman, is a history professor, who also finds herself at odds with her family, friends, and society as she struggles to choose which faith she must believe in. Can these two women manage to stay true to their beliefs and religion, or do they have to conform to society in order to find happiness? Lately, Amalia Carosella has not lived up to her Helen of Sparta duology. I found Tamer of Horses to be less enjoyable because I didn’t like the main characters. I decided to give this one a chance because I love the Viking era. 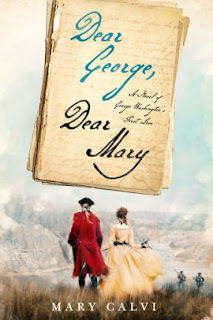 While I did love the historical aspect in this novel, I would have enjoyed it more if it wasn’t for the contemporary aspect. However, since the contemporary aspect takes up half the book. I have to say that this was the least enjoyable book I have read so far from her. Freydis was a very likable character. I really loved her storyline, and wished that this book would solely be focused on her. Freydis is a strong character. She is iron-willed, determined, and courageous. She never stops fighting to make her dreams come true even in the face of adversity. Emma, on the other hand, was a very frustrating character. She is more of a damsel in distress. She doesn’t stand up for herself and relies on others to save her. She is also very compliant. In many ways, she was the opposite of Freydis. Emma’s storyline was very unrealistic and unappealing. It also had an instant romance that lacked development and chemistry. Overall, this story is about two women striving to make their dreams come true. The message of this book is to always be yourself. Half of these characters did not have significant development. I did like the author’s writing style, and liked the setting for these characters. 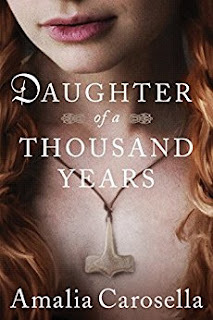 While I did not enjoy this story as much as I loved her Helen of Sparta’s duology, Amalia Carosella is a promising author. Thus, I still look forward to read her future historical fiction novels. 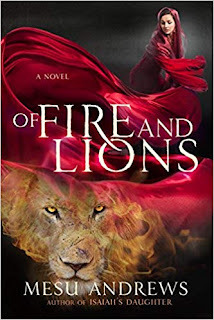 While this book was not her best work, I think that this story will appeal to fans of Anne Fortier’s The Lost Sisterhood, Helen Bryant’s The Sisterhood, and Lisa Jewell’s Before I Met You.